The Bible has much to say about raising children—and instilling biblical values in your children is perhaps the most important job you will ever be entrusted with! LIFEPAC 1st Grade Bible from Alpha Omega Publications can help you with this critical task. Designed to assist in the development of a biblical worldview, the LIFEPAC Bible curriculum presents seven major Bible themes using teachings from the Old and New Testaments. In LIFEPAC 1st Grade Bible, your child will begin to learn about these themes with simple teachings from God's Word. Utilizing the King James Version of the Bible, ten child-friendly worktexts present lessons on creation, God's love, prayer, obedience, God's promises, Jesus, missionaries, and many Bible characters. As you can see, at Alpha Omega Publications, we believe that teaching the Bible to your homeschooling child is just as important as teaching him to read! So to assist you with this essential task, we have provided you with an easy-to-follow teacher's guide. Designed to walk you through the teaching process step-by-step, this significant teacher's guide provides in-depth instructions for teaching each lesson, a complete answer key, and information about supplemental materials and activities in this Alpha Omega curriculum. The Bible states, "Train up a child in the way he should go: and when he is old, he will not depart from it." 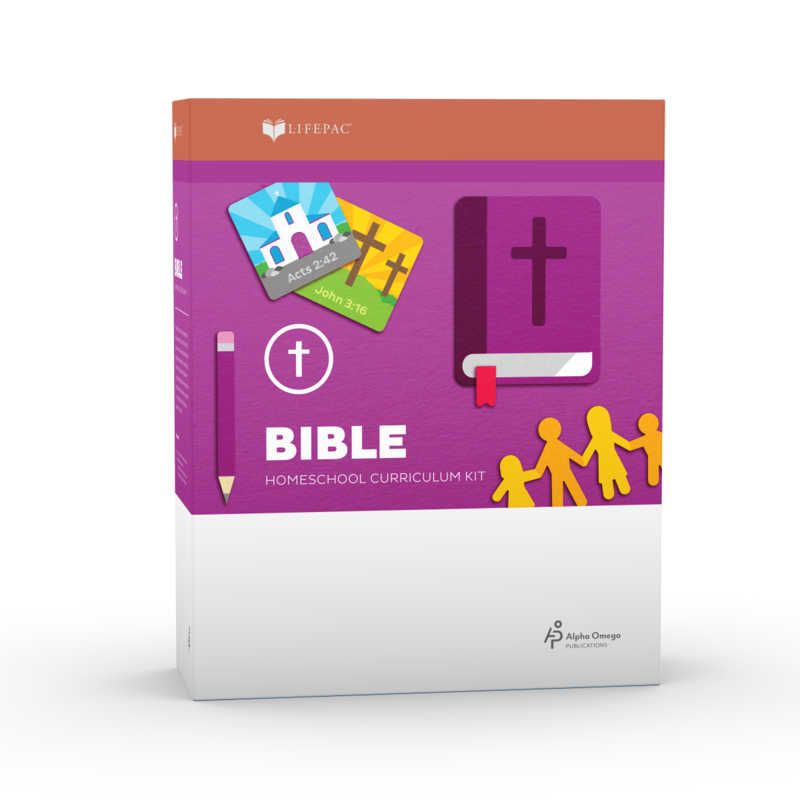 Let LIFEPAC 1st Grade Bible help you train up your child! Order today!